Is fruit tea a southern thing? I’m thinking so, because growing up in Boston, I don’t remember ever seeing it. It wasn’t until I moved to Tennessee (13 years ago!) that I started seeing it served at restaurants + cafes. I figured since I like both iced tea + fruit juice, I’d like fruit tea. And guess what – I was right! Except I didn’t just like it, I looooooved it. Now, any time I go to a restaurant + see fruit tea on the menu, I always order it. Every place has a slightly different recipe, but the theme remains the same – a blend of iced tea, fruit juices, + (sometimes) herbs or sweet spices. To me, fruit tea is one of the most wonderful drinks ever. It’s got a perfect combination of sweet, tart, + citrusy flavors, + is beyond refreshing on warm, sunny days. I like mine served simply, over ice with some fruit slices + mint for garnish. But, if you’re wanting to make a fancier adults-only version, I bet it would make a great cocktail with rum! Either way, it’s quick + simple to whip up + makes a huge quantity, so it’s fantastic for all the parties, get-togethers, + cookouts that come with summertime. Give it a try – I promise you’ll love it as much as I do! boil the water, then pour over the tea bags + cinnamon stick in a large pitcher. allow to steep for 15 minutes. after steeping, discard the tea bags + cinnamon stick; stir in the frozen orange juice + frozen lemonade – stir until completely blended. add in the pineapple juice – stir until combined. refrigerate until fully chilled. 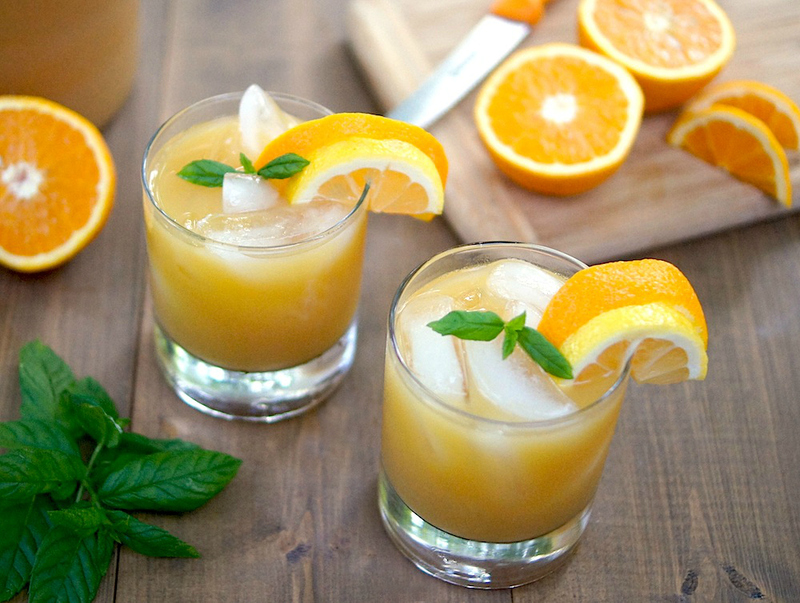 serve with plenty of ice + garnish with a lemon or orange slice + mint. enjoy! Craving this tea, had it in Maryland while taking time off this summer. Thanks for providing your recipe. You’re so welcome, Brandy – hope you love it! I sure would like to know if you can use ready made tea, bought by the gallon and if so would you use sweet or unsweet??? I am no good at making tea, and believe me I am serious. Hi Judy, Sure, you can make this with ready-made iced tea. I’d use unsweet, as the juices as quite a bit of sweetness themselves. Just use 6 cups of your ready-made tea instead. And since you won’t be able to steep it hot with a cinnamon stick, I’d add in a couple shakes of ground cinnamon (the equivalent of probably 1/8 teaspoon, not a ton!). And then proceed with the recipe as written. Enjoy! Tried this with half Chai tea (figured it would work well with the cinnamon) and it was awesome! 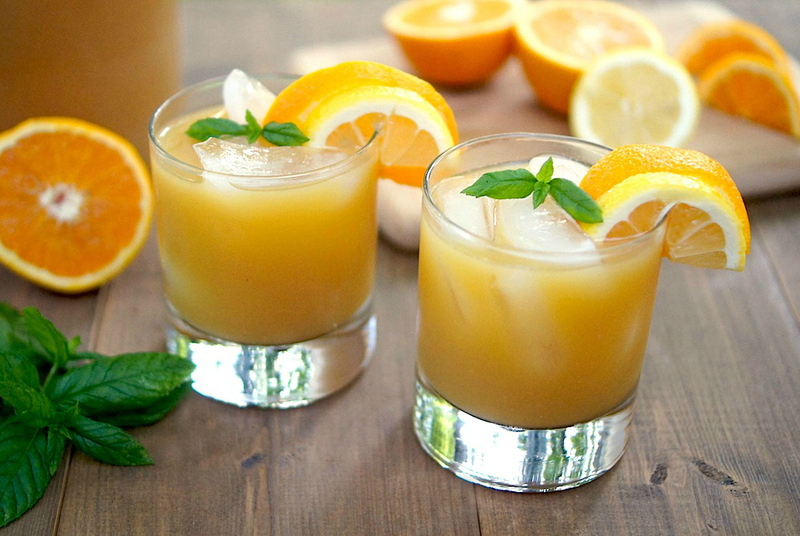 Homey but refreshing, thanks for the recipe…reminds me of bread & co xo! Ꭲhey moreover tender fixture in support of download. Next post: Fearless Baby Has Arrived!